Welcome to the 12th annual ACM SIGGRAPH conference on Motion, Interaction and Games 2019 (formerly known as Motion In Games) held at Northumbria University, Newcastle Upon Tyne, United Kingdom, 28th - 30th Oct 2019. Please notice the important update on conference dates and submission dates here. Markus Gross is a Professor of Computer Science at the Swiss Federal Institute of Technology Zurich (ETH), Head of the Computer Graphics Laboratory, Vice President Research and the Director of DisneyResearch|Studios. 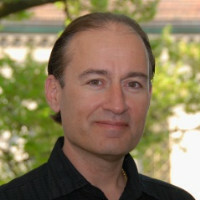 He joined the ETH Computer Science faculty in 1994. His research interests include physically based modeling, computer animation, immersive displays, and video technology. Before joining Disney, Gross was Head of the Institute of Computational Sciences at ETH. He received a Master of Science in electrical and computer engineering and a PhD in computer graphics and image analysis, both from Saarland University in Germany in 1986 and 1989. Gross serves on the boards of numerous international research institutes, societies, and governmental organizations. He received the Technical Achievement Award from EUROGRAPHICS in 2010 and the Swiss ICT Champions Award in 2011. He is a fellow of the ACM and of the EUROGRAPHICS Association and a member of the German Academy of Sciences Leopoldina as well as the Berlin-Brandenburg Academy of Sciences and Humanities. In 2013 he received the Konrad Zuse Medal of GI and the Karl Heinz Beckurts price as well as the IEEE Visualization Career Award in 2015. In 2013 and 2019 he received a Technical Achievement Award from the Academy of Motion Picture Arts and Sciences. He cofounded Cyfex AG, Novodex AG, LiberoVision AG, Dybuster AG, Gimalon AG, Kapanu AG, Perceptiko AG, Propulsion Academy AG, Arbrea Labs AG, Nanocorp AG and Animatico AG. Taku Komura is a Reader (associate professor) at the Institute of Perception, Action and Behaviour, School of Informatics, University of Edinburgh. 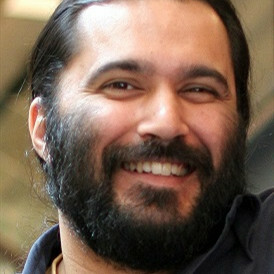 As the leader of the Computer Graphics and Visualization Unit his research has focused on data-driven character animation, physically-based character animation, crowd simulation, cloth animation, anatomy-based modelling, and robotics. 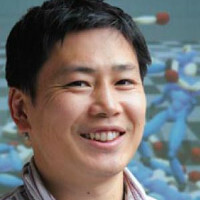 Recently, his main research interests have been the application of machine learning techniques for animation synthesis. He received the Royal Society Industry Fellowship (2014) and the Google AR/VR Research Award (2017).